The Trump administration proposes a new round of trade talks between the U.S. and China to stop an additional round of tariffs on Chinese exports. The Wall Street Journal reports the invitation comes as the Trump administration senses new vulnerability—and possibly more flexibility—among Chinese officials pressured by U.S. tariffs imposed earlier this year and threats for more. Treasury Secretary Steven Mnuchin made the invite, but officials in China are growing concerned with the unpredictable decision-making process by the Trump administration and some speculate that China may be hesitant to accept any meeting invite. The move could be seen as a breakthrough, however, as Trump is talking up a sharp drop in the Chinese stock market and its fragile economy, compared to U.S. economic indicators. 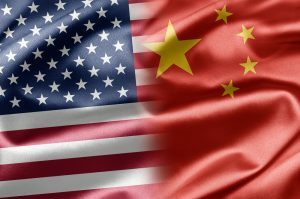 Any movement towards reducing or removing the retaliatory tariffs China has placed on U.S. agriculture is considered positive, as China is looking elsewhere to fulfill import needs.